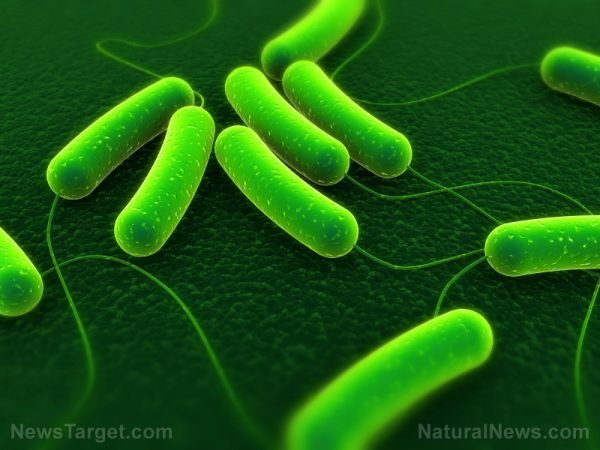 (Natural News) The U.S. Centers for Disease Control and Prevention (CDC) recently reported cases of more than 200 types of bacteria that are resistant to antibiotics, also known as “superbugs.” The cases were widespread in 27 states, raising an alarm among health organizations and the government. It appears that these bacteria are thriving in the very same place where they are treated – the hospitals. According to reports, regardless of how clean the hospitals are kept, these bacteria remain in the plumbing system. Marc Sprenger, director of the World Health Organization (WHO)’s secretariat for antimicrobial resistance, said that it’s normal for drugs to eventually lose their ability to kill bacteria. He added that just like any other living organism, bacteria evolve to survive the current environment they’re in. Although the reports are truly alarming, there are simple habits that you can practice to prevent yourself from getting infected by these antibiotic-resistant bacteria. The easiest solution is to avoid using antibiotics whenever there’s a viral infection. Most of the time, healthcare experts prescribe antibiotics to patients who are infected with viruses. This practice only speeds up the process of turning bacteria into superbugs. Viral infection is easily transmitted through unsanitary ways, which makes it really important to keep everything clean and germ-free. By lowering the risk of contracting any kind of sickness, the need to use prescribed medication is also reduced. Remember not to feel pressured when a healthcare expert gives a prescription. It’s okay to ask if the medication is absolutely necessary. Lastly, overusing antibiotics in livestock, aquaculture, and crops must also be lessened, if not completely stopped. Such practice also contributes to the spread of superbugs in the environment, the food chain, and human beings. Much like with humans, keeping the animals’ living quarters clean and uncrowded will reduce the risk of infections, and in turn, cut the need for antibiotics. Clean living conditions are not only integral for healthy livestock but can also benefit the people who will consume the end product. Always wash your hands – A cold virus can stay alive on your hands for up to three hours. To avoid infection, it’s important to always wash hands with soap and water to kill the bacteria. Avoid touching your eyes and nose – As much as you can, don’t put your hand/s on your eyes or nose. These two are the most common routes of entry for viruses and flu. Drink plenty of water – Staying hydrated is vital in keeping the body healthy, and making it less vulnerable to illnesses. Get a good night’s sleep – Get enough sleep as the body recuperates at night. Stay away from sick people – Try avoiding contact with people fighting a sickness, even just the common cold, so as not to contract it. Learn more about these drug-resistant bacteria and how they can affect your health by visiting SuperBugs.news today.